Leveraging our industrial expertise, we are engaged in manufacturing, exporting, and supplying of superior quality Asbestos Millboard. 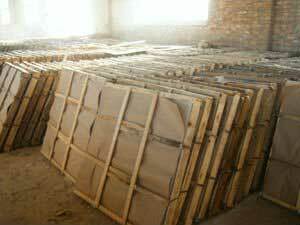 The Asbestos Millboard provided by us is widely acknowledged by the clients, owing to their striking attributes like low thickness, low thermal conductivity, and high temperature sensitivity. These Asbestos Millboards can be easily cut, punched or wet molded and provides dean edges while cutting gaskets. Our Asbestos Millboards are manufactured from eco friendly raw materials, which are imported from vendors across the world. These Asbestos Millboards are available in various specifications and grades, in order to suit the requirements of the clients. Note : Other sizes available on demand.